6" Brown Kick-Off Internal Met-Guard with Elastic Guard. Vibram© Outsole Dryz® Insole. The #29927 is a 6” fast-release style with an internal met-guard. Once again, using the “Armadillo” tempered steel-hinged guard for maximum protection of the toes AND top of the foot, the #29927 is based on the dense rubber Vibram outsole. Triple-stitched with Kevlar and like all the other styles, using a heavy industrial-grade leather upper, this is a very safe and durable boot. All of our boots are made using the Goodyear welt-construction technique. The #29927 is a 6” fast-release style with an internal met-guard. 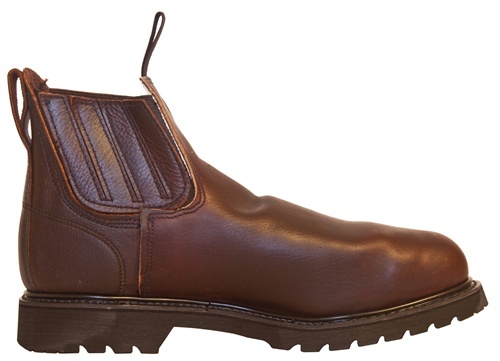 Once again, using the “Armadillo” tempered steel hinged guard for maximum protection of the toes AND top of the foot, the #29927 is based on the dense rubber Vi bram outsole. Triple-stitched with Kevlar and like all the other styles, using a heavy industrial-grade leather upper, this is a very safe and durable boot. 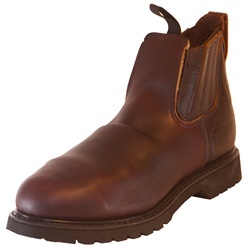 All of our boots are made using the Goodyear welt-construction technique.